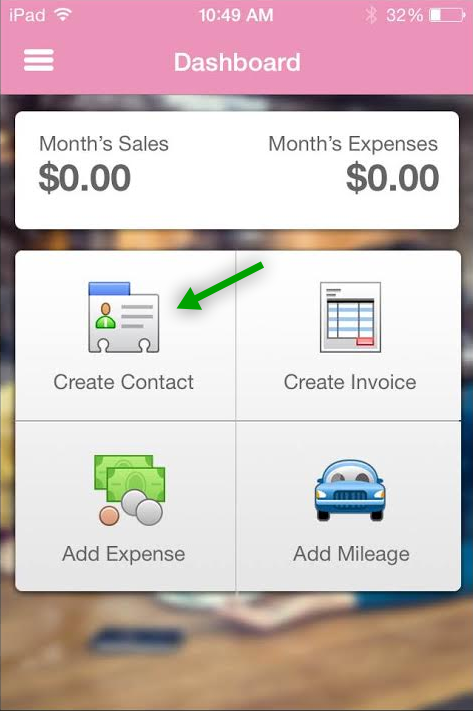 To add your first contact, from the Dashboard screen click "Create Contacts." 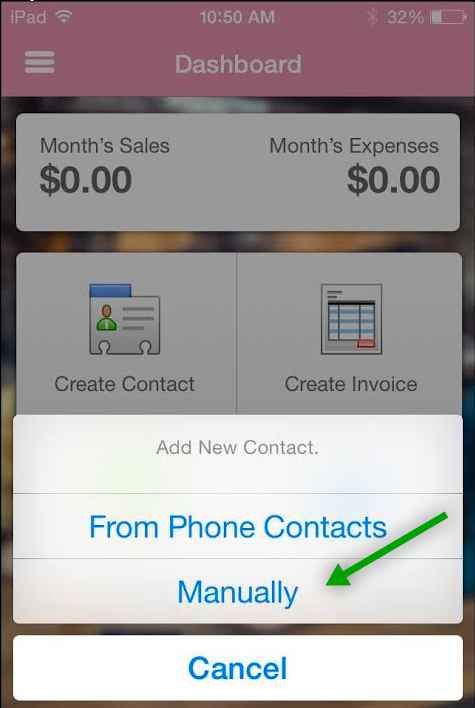 Now, click "Manually." 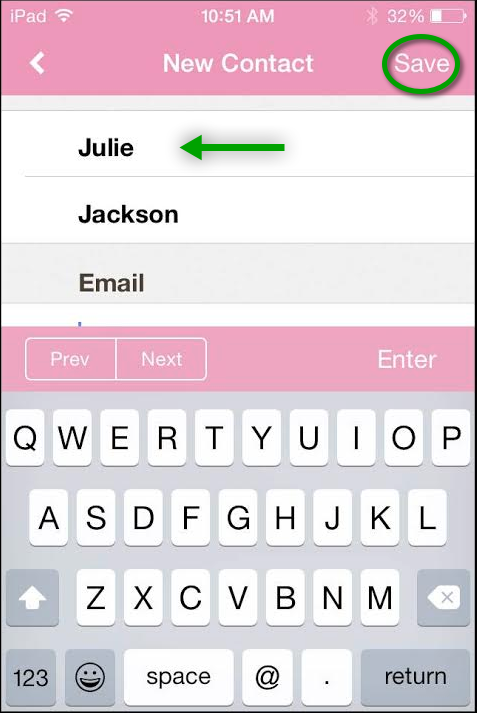 As a free trial you can add up to three contacts until you have the full subscription of Pink Office. Congratulations, you've entered your first contact!